4. Of large variety, fashionable, pollution-free. 1. Spectifications: (1) -12" x 12" x 1.2mm~3.0mm. (2) -18" x 18" x 1.5mm~3.0mm. (3) -24" x 24" x 1.5mm~3.0mm. (4) -3" x 36" x 1.5mm~3.0mm. (5) -6"(W) x 36"(L) x 1.5mm~3.0mm(T). 2. Opitional: PU(UV) coating, registered, emboss, flexible, non-slip. 3. 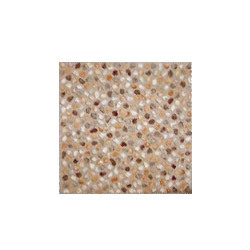 Dry back or self-adhesive vinyl floor tile. 4. No wax 100% vinyl floor tiles with different embossing. 5. NON-PU coat is for residential use. PU coat is for commerial use. 6. Patterns: marble, sand, stone, slate, floral, brick, wood, parquet, custom design. 7. Quality: (1) Rigid. (2) Flexible. (3) Wall tile.